Things evolve so quickly and we are lucky to be on the cutting edge. 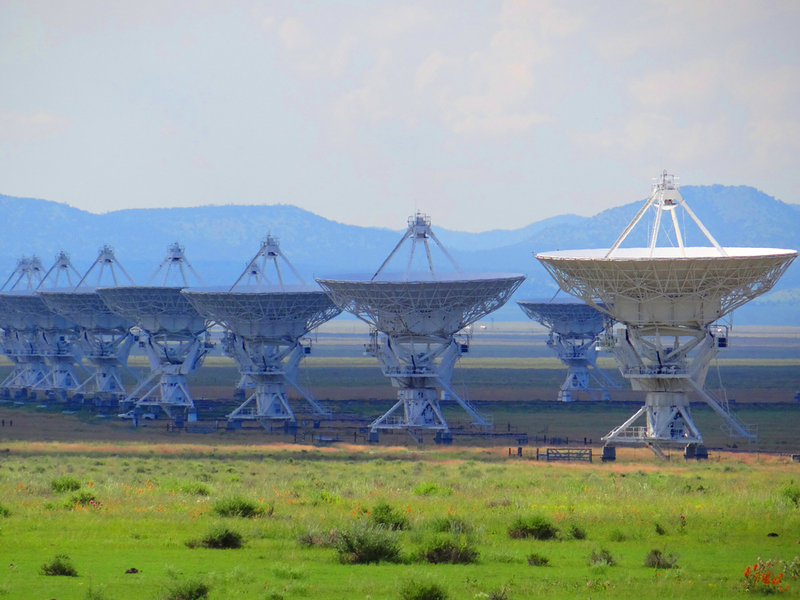 Searching the great beyond and more, the KARL G. JANSKY VERY LARGE ARRAY is a premier research facility which has daily self-guided walking tours and allows you to meet the scientists during guided tours of the facilities the first Saturday of every month. Touch the stars (or at least learn more about them) during the guided night stargazing held at the ETSCORN OBSERVATORY located on the NEW MEXICO TECH campus also held on the first Saturday of each month. The future and the past collide on the first Saturday of April when White Sands Missile Range opens the TRINITY SITE to the public. The Trinity Site is the location of the first atomic bomb location. Keep an eye on UPCOMING EVENTS to make sure you don’t miss out on these first Saturday events and other exciting, educational events such as the ENCHANTED SKIES STAR PARTY which are sure to enlighten!